The Master Samurai Tech game-changer. Trains you in the real fundamentals—troubleshooting and diagnostics—which most techs don’t yet know (even experienced techs). Everyone, beginners and experienced techs alike, should start their journey to mastery here. View complete syllabus. Equip yourself with highly-profitable, specialized expertise in refrigerators—their operation, common problems, troubleshooting and repair of all makes and models. Get trained in everything you need to know to be indispensable to your community. View complete syllabus. This course provides in-depth presentations on the technologies and common problems you’ll encounter in cooking appliances, both old and new. With this specialized troubleshooting expertise in your toolkit, you’ll confidently burn through any oven and range problem. View complete syllabus. COMING SOON! 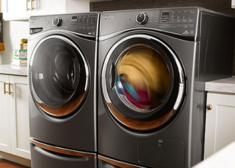 Although our legion of MST graduates are successfully repairing laundry equipment with the knowledge and skills taught in Fundamentals and Advanced Troubleshooting, we've had a lot of requests for a specific course that dives deeper into washer and dryer technology and troubleshooting. View complete syllabus. Level up your troubleshooting and schematic analysis with training. 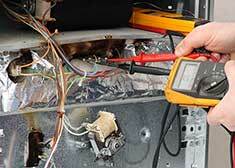 Trust us, you’ll need this course if you plan on handling newer electronic appliances. Don’t become obsolete, be the best appliance repair tech in town. View complete syllabus. 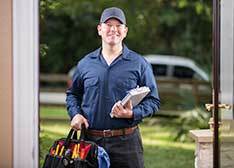 Includes the Fundamentals of Appliance Repair, Refrigerator Repair, Oven and Range Repair, and Advanced Troubleshooting courses at a 5% discount. As a special bonus, you receive the Delivering Professional Service course, a $150 value, for free! View complete syllabus. Includes the courses in the Technician's Bundle at a 6% discount plus the Modern Business Management course at half price, saving you $125! View complete syllabus. Develop the soft skills needed to transform every repair job, good or bad, into a positive customer experience and a more profitable business. View complete syllabus. 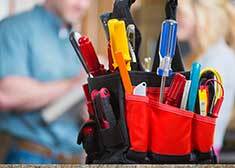 Bring your appliance repair business into the 21st century. 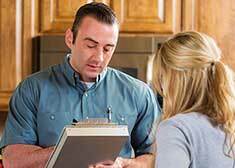 Pre-diagnosis and pricing, parts inventory and management, customer service and marketing, everything needed for a more profitable repair service. View complete syllabus. Available only in the Complete Business Bundle! Train at work around hands-on service calls, or train at home, coffee-shops, libraries, etc. With no set hours, train on your own schedule. Courses include quizzes and exams for instant feedback, and our experts are on stand-by to answer questions you have while training. Courses are updated to cover new technologies, including computer-controlled appliances. Access the course material anytime to stay sharp. 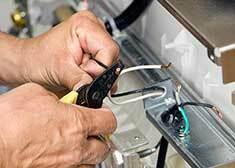 Every day, the list of MST-certified appliance repair technicians grows longer. Be the next to join our community of appliance masters improving their careers and their industry. 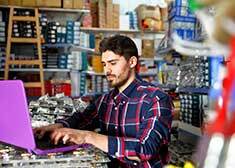 Pass course exams to earn your certification and show employers and customers that you know your craft. Fundamentals graduates also earn a full premium membership to Appliantology. 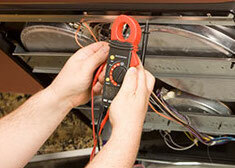 Want to test your appliance repair knowledge? What is a loading meter and why should you always use one when troubleshooting AC circuits? A loading meter has a deliberately low input impedance, around 3 K-ohms, to draw current from the circuit being tested. Loading meters are used to prevent being head-faked by ghost voltage. The short video below demonstrates a practical example on a real-world appliance. 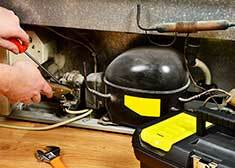 Want to really test your appliance repair knowledge? Take our infamous You Don’t Know What You Don’t Know quiz.